The birth of a child is a wonderful time in your lives. That your love has created another human being could be described as a miracle. The intensity of your love for your new baby is an experience like no other. You may be feeling a profound sense of gratitude to God, and a desire to respond by bringing your baby to church for a service of Baptism, otherwise known as Christening. I am delighted to say that St David’s keeps to the old Church of England tradition of welcoming every child whose parents ask for a Baptism. Do not worry that you will be put off with conditions and restrictions. We will respond to your request with a warm invitation to arrange a date for the ceremony. At St David’s we offer a choice of timing. Some of you may prefer to come to our Sunday morning service so that the whole church family can welcome you and your baby. Others might like to arrange another time on Sunday or during the week. Someone from St David’s will talk to you in your own home or at church, about the words and symbolic actions in the sacrament of Baptism. These symbolic actions are full of meaning. The priest will make the sign of the cross on the child’s forehead, pour water on her/his head as a sign of God’s generous love being poured out on her/him and give godparents a lighted candle for the child to keep, to remind her/him of his/her baptism. You will name your child before God and join in the prayers for him/her to grow in love all the days of their life. 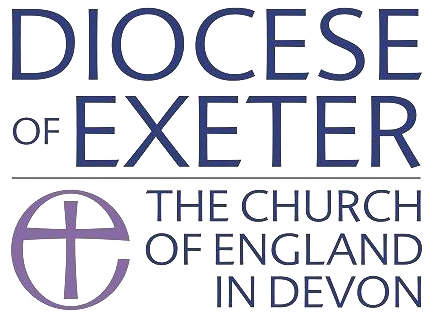 If you live in the parish of St David’s (anywhere between the railway line, the city centre and Pennsylvania hill, and out to Cowley Bridge) or if you live elsewhere but have a connection with the church, however long ago, then we will be able to baptise your child here at St David’s. It will be the beginning for him of a lifelong relationship with God, the loving creator and sustainer of all life. If you wish to stay at church afterwards and make use of our newly transformed building for your celebrations, you will be most welcome.